Severe bullying has been associated with clinical depression and suicidal thoughts. “It’s emotional torture,” said a state employee who alleges that her immediate supervisor and a colleague have told her she walks like a “damn elephant,” left trash on her desk, and called her “stupid and incompetent” in meetings — hostility that she says was triggered by resentment of her corporate background and professional approach. The employee, like others interviewed for this story, spoke on the condition of anonymity for fear of retaliation. Severe bullying has been associated with clinical depression and suicidal thoughts. It is so common, studies say, that nearly one-third of the American workforce will experience bullying behavior during their working lives. Yet in many cases, victims have no legal recourse. A bill before the Legislature aims to change that by creating a civil claim for damages for employees who can prove they were subjected to an abusive work environment that causes physical or psychological harm. The Healthy Workplace bill — filed for the fourth time in as many sessions — has 48 cosponsors but is opposed by employers who say it could open the door for a deluge of unfounded claims. The association said training, leadership development, and communication are better tools for combating the problem. The worst cases of bullying can be overt, such as a constantly yelling boss. But bullying can be covert, too — a behind-the-back campaign to sabotage someone’s reputation and work performance. The proposed Massachusetts law would allow the award of monetary damages and permit judicial orders to correct or stop the bullying behaviors. It would not cover everyday workplace flare-ups, emphasized its author, Suffolk University Law School professor David Yamada. The particulars of some alleged bullying cases can sound so juvenile it’s almost impossible to imagine an adult behaving in such a manner: A former public school instructor who spoke to the Globe says she was denied the opportunity to sign group birthday and condolence cards after she challenged an administrator. Another person, a high-level state administrative assistant, said she was reassigned to reorganize a storage room, endlessly, according to an attorney she contacted. “It’s death by 1,000 cuts,” said Beth Myers, vice president of the Massachusetts Employment Lawyers Association. Bullying can be covert, too — a behind-the-back campaign to sabotage someone’s reputation. The impact can be so traumatic that victims consider suicide at twice the rate of those who were never bullied, according to a study published in 2015 by the American Journal of Public Health. Therapists who treat victims of workplace bullying say their patients show signs of post-traumatic stress disorder, including panic attacks, headaches, gastrointestinal problems, and insomnia. “I had one person who was so anxious that she became psychotic,” said Eunice Aviles, a psychotherapist in Amherst. The patient eventually took short-term disability leave. 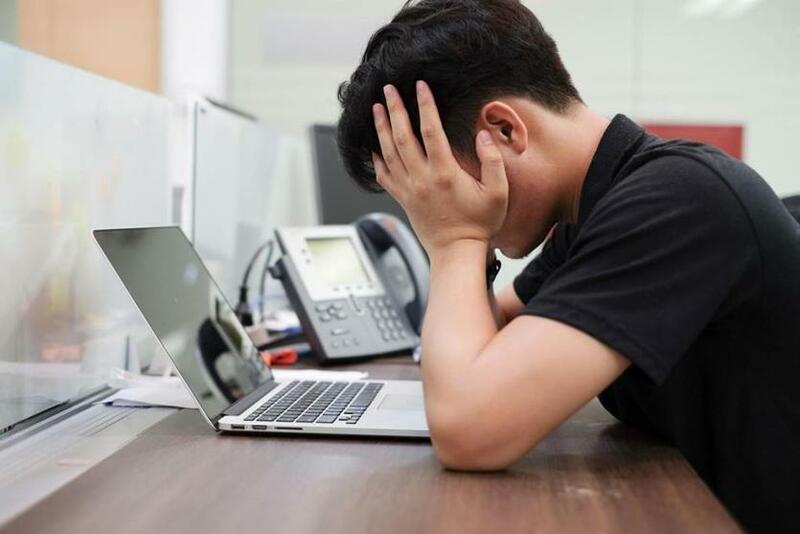 A 2014 survey sponsored by the Workplace Bullying Institute found that 27 percent of respondents had experienced workplace bullying and that 56 percent of bullying is committed by supervisors, 33 percent by co-workers, and 11 percent by subordinates. The majority of hostile workplace complaints filed at the Massachusetts Commission Against Discrimination allege at least an element of bullying, according to chairwoman Sunila Thomas George. Yamada, the bill’s author, compares the public perception of bullying to sexual harassment 30 years ago. Without widespread societal understanding, victims not only feel alone, but often don’t understand what’s happening to them, he said. Although many aren’t currently able to identify bullying for what it is, that could change as a growing number of high-profile accusations of sexual harassment or misconduct also allege bullying behavior, such as the complaints against WBUR host Tom Ashbrook, in the most high-profile local example. The union’s president, Gregory Sorozan, calls bullying “a significant problem” for his nearly 3,000 members. He said he helped fight for the new clause after he was bullied while working for the Department of Social Services (now the Department of Children and Families). Sorozan’s team is investigating a boss who allegedly controls employees by selectively granting vacation and sick time. The man has allegedly bullied 20 people over the years, Sorozan said, and is currently targeting an employee undergoing cancer treatments. What will happen to that particular boss remains to be seen, but the odds aren’t in the victim’s favor. The most common outcome, reports the Workplace Bullying Institute, is that the target leaves the job.